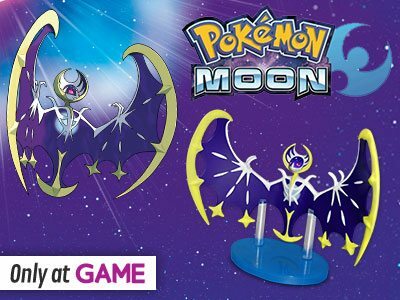 GAME has revealed an exclusive pre-order bonuses for Pokémon Sun and Pokémon Moon. 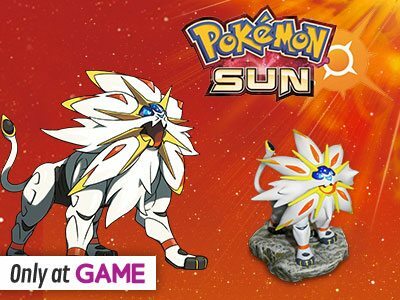 Those that pre-order either the Pokémon Sun or Pokémon Sun Fan Edition (£44.99) will receive a Solgaleo or Lunala figurine, related to whichever Legendary Pokémon appears on the Nintendo 3DS exclusives respective covers. The Fan Edition as standard includes a packaged copy of whichever version you choose, as well as a SteelBook case. This will automatically be added to those that have already ordered either game, will only be available to residents of the United Kingdom, and is limited to one figurine per order.